The Mathews NO CAM HTR is the latest & most innovative technology from Mathews Inc. in a hunting bow. You can always count on Mathews Inc. to be at the forefront of new technology that makes a better hunter. You can have all your gizmos and fancy gadgets on any bow or piece of equipment and I’ll take a simplified system that works and mitigates failure Every. Single. Time. The new Mathews NO CAM bow system is a giant step toward making the simplest, most accurate bow of all time and they believe that they’ve done it, besides a recurve. For the 2015 lineup, Mathews is releasing two all-new bows with NO CAM STTM Technology. The Mathews NO CAM HTR is the latest Mathews hunting bow that is quite impressive. The innovative system uses two circular and concentric string tracks to make a balanced system that brings you better and smoother draw weight and a more level nock travel, thus improving accuracy. Check out the full Mathews NO CAM HTR Review on MorningMoss. There is a lot more technological features and specs with this bow, but what you need to know is that the system is shorter, the limbs are more rigid and the bow can shoot at 330 feet per second! The brace heigh of 6 5/8 inches and RockMods make this an outstanding hunting bow. You can buy this bow with five exclusive finishes including Stone Tactical and Lost Camo OT. The new NO CAM system has made a balanced and accurate bow that was so good that Mathews Inc. built a target bow as well. The Mathews NO CAM TRG is their newest target bow that is 38 inches axle-to-axle and comes in 7, 8 or 9 inch brace heights. This bow is going to be the easiest target bow to set up and is very customizable to the shooter. 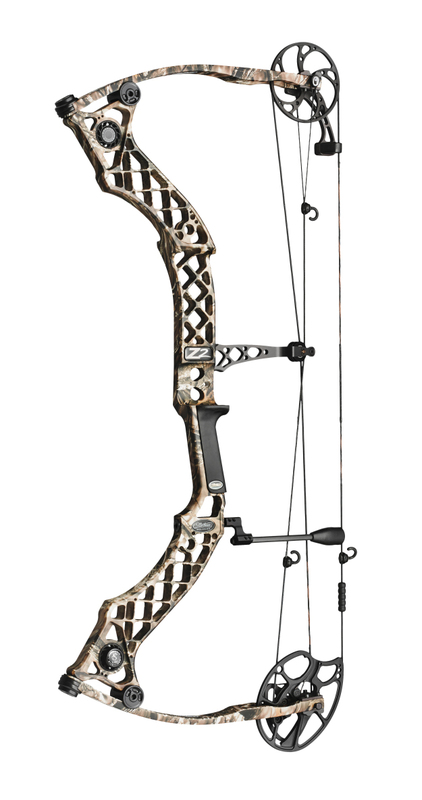 The Mathews CHILL X PRO is a dual cam performance bow that is new for the 2015 lineup. In addition to the all-new Mathews NO CAM bows, they also introduced a high-performance dual cam bow, the Chill X Pro and a new Solocam bow, the Mathews Z2TM. The Z2TM is a value bow and is going to bring in lots of new shooters. We’ll have more information on these coming soon! Check out the video below on the new Mathews NO CAM Technology and check out our Mathews Creed XS review. Don’t miss out on the latest hunting gear news and be on the lookout for more Mathews archery information. To learn more about the NO CAM bows visit the Mathews Inc. Website.